Once again, Ernesto Valverde saved almost the entire first team in the Copa del Rey first leg and as in the round of the last sixteen, the four-time series winner in the national Spanish Cup is about to end. 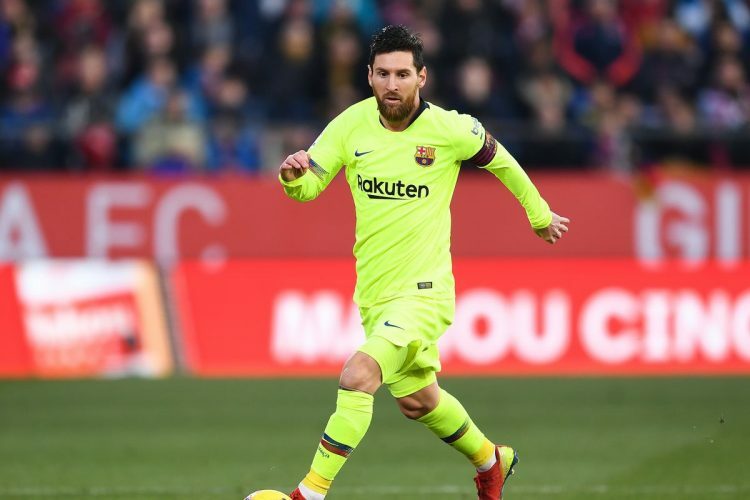 In the first round against Levante, the first team around Messi and Co. turned the 1: 2 first-leg defeat with a 3-0 home win impressive, it will be much more difficult against the Filigranas. Not only are “Los Hispalenses” in fourth place in La Liga a different house number than Levante, but the Andalusians now already have a single away goal, by the Blaugrana then four own goals would need to make the entry into the semifinals perfect. At least in the classic 3-way system, in the regular season, even in the environment of the Nervionenses, hardly anyone puts a chanterelle on the team of Pablo Machín. Nevertheless, the Barcelona starting point against Sevilla plays a major role in the prediction, which makes the question of who reaches the next round a very exciting one. It is very lucrative to give the tip on the progress of the Catalans, which also would not start for the first time in the native Camp Nou a catch-up hunt of superlatives. Courage is that, unlike in the previous week, the best team will be back on the field, which has the reigning Spanish Double winner. And in the league match against Sevilla on October 20, it was characteristically after just twelve minutes already 2-0. Moreover, the fact that Barcelona has what it takes to celebrate compelling pick-ups in Camp Nou has spread throughout Europe. Unforgettable is the 6-1 home win over Paris Saint-Germain after the 4-0 away defeat in the Champions League first leg two years ago. Nevertheless, Sevilla also has a lot to do, which is why the Catalans are facing a tough chunk of work. After all, the national double is once again the minimal target of the Blaugrana, which has shaken off the competition, at least in La Liga. At home runner Atlético Madrid, it is comfortable five points ahead. Arch rival Real Madrid is even down ten points. All the more incomprehensible it was for most fans that Ernesto Valverde has spared his first team just in the Copa del Rey, who last went four times in a row to Catalonia, and not at the weekend in Girona, where once more Coutinho, Suárez and of course Messi personally had to fix it. In Barcelona against Sevilla is the tip that the star ensemble again brings the coals out of the fire, a promising proposition. A thoroughly perfect week lies behind the Andalusians, who for a long time in the current La Liga season were the main pursuers of FC Barcelona in the championship. Not least because of the strong injury pitch the Nervionenses have lost a lot of ground here. After the recent 2-0 defeat at Real Madrid, the Andalusians slipped to fourth place. That they are certainly not willing to accept this snapshot, shows the strong last week. The 2-0 win over Barcelona’s B-selection was followed by a league victory in La Liga: 5-0 against Levante. In addition, those responsible responded and struck several times in the winter transfer window because of the bulging hospital. Barca new signing Munir El Haddadi has yet to cure his injury, but Maximilian Wöber of Ajax Amsterdam could theoretically help in central defense right away, where Joris Gnagnon is still missing. The Austrian was already in the starting eleven against Levante. It is also rumored that Marko Rog will be presented by SSC Napoli as the third winter return on Tuesday. He could even make it to the squad in Camp Nou, given the midfield failures. In Barcelona against Sevilla should therefore be taken into account in the forecast, that coach Pablo Machín again has a few alternatives more available. But that does not change the fact that the pride of Andalusia faces a tough fight in this away game. Much will depend on whether the men from Nervión succeeds in such an important away goal. After all: With 36 goals this season in La Liga, Sevilla are the second best offensive in Spain. The Copa del Rey return leg really has everything needed for a thrilling cup fight: two teams that want to get into the next round and a starting position that could hardly be more gripping despite their clearly forgotten role as favorites. Barca need at least two goals to equalize the first leg, but are forced by an away goal from the Andalusians to win at least three goals difference. Something that the Catalans can and must be fully and completely credited with. It is Barcelona against Sevilla, according to odds clearly favored. Very few tipsters should see in the classic 3-way system in the tip of the draw or the away win the Nervionenses a serious alternative, because the Andalusians would even own a goal even a 1: 3- or 2-4 defeat for the move into Semi-finals are enough. The less lucrative it is to play Barcelona against Sevilla Tip 1. Instead, we recommend that you join in the prediction that the Blaugrana will once again be making a big comeback at Camp Nou, marching into the semifinals with their star ensemble.